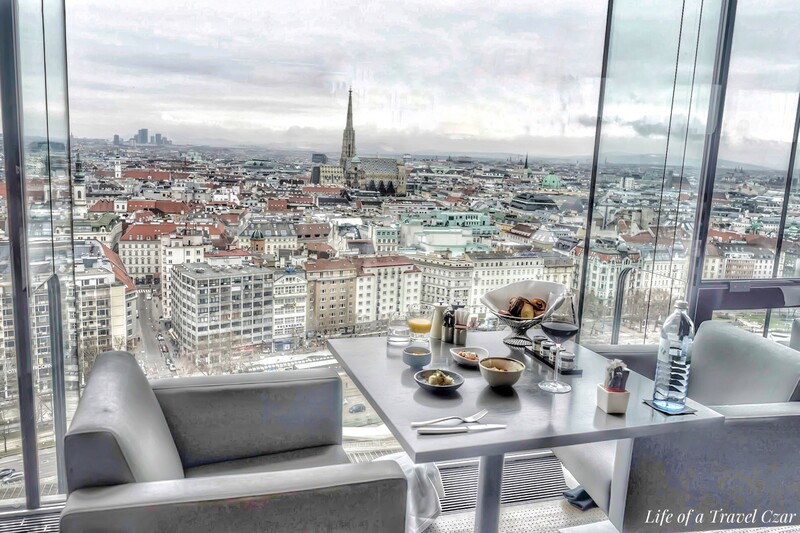 I am in the beautiful city of Vienna and my first stop is brunch at Das Loft. 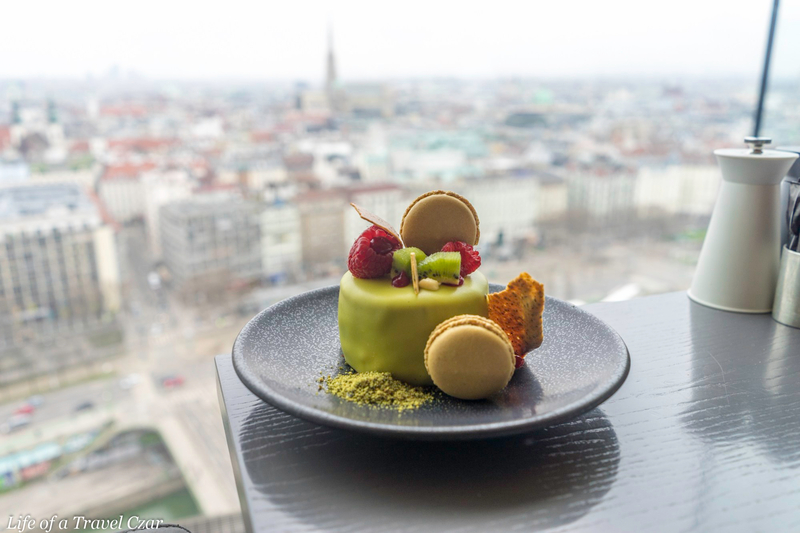 It’s a restaurant which is perched on the top floors of the Sofitel Vienna Stephansdom serving eclectic cuisine, with stunning views of Vienna through floor-to-ceiling windows. I am here for their leisurely brunch which has live music, a table buffet and little taster plates from their kitchen. An entree selection is brought out paired with some champagne. The selection included freshly baked breads, fruits, detox juices, a cheese platter, bircher muesli, cured meats, beef tartare. The brunch also includes bottomless cappuccinos which go along way to keeping me awake. It’s hard to describe the experience in just pictures and words, so here is a little video clip of the entree and the views. The background tune is “This Is What You Came For” by Calvin Harris – I don’t own the rights to the song. 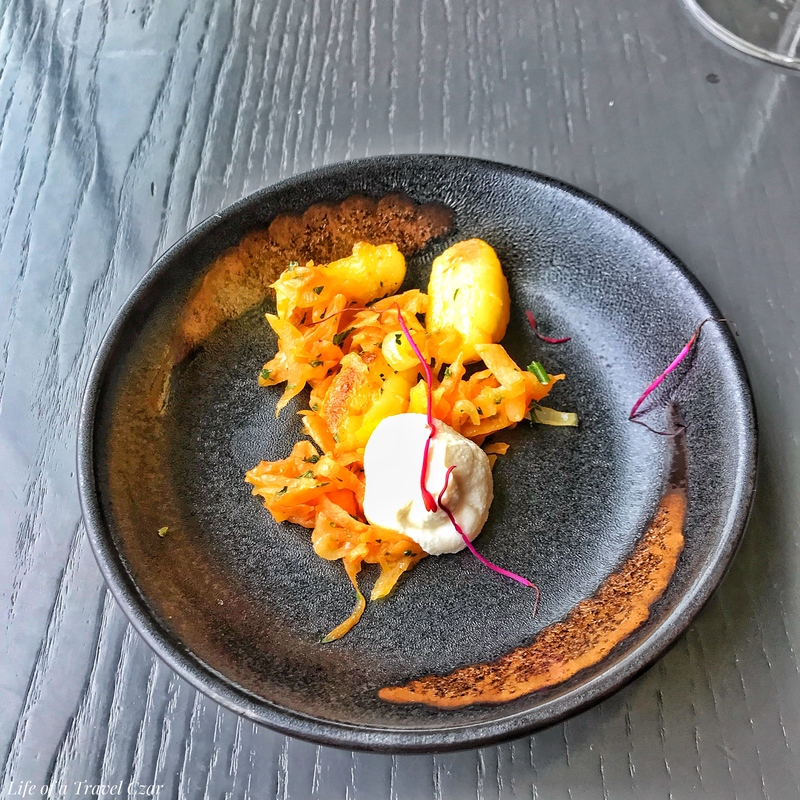 Once the entrees are dealt with, a range of small tasting plates are brought out for the second course. We have some scrambled eggs, a fresh Greek salad, couscous and risotto. The plates are a delight with the creamy scrambled eggs being my favourite. 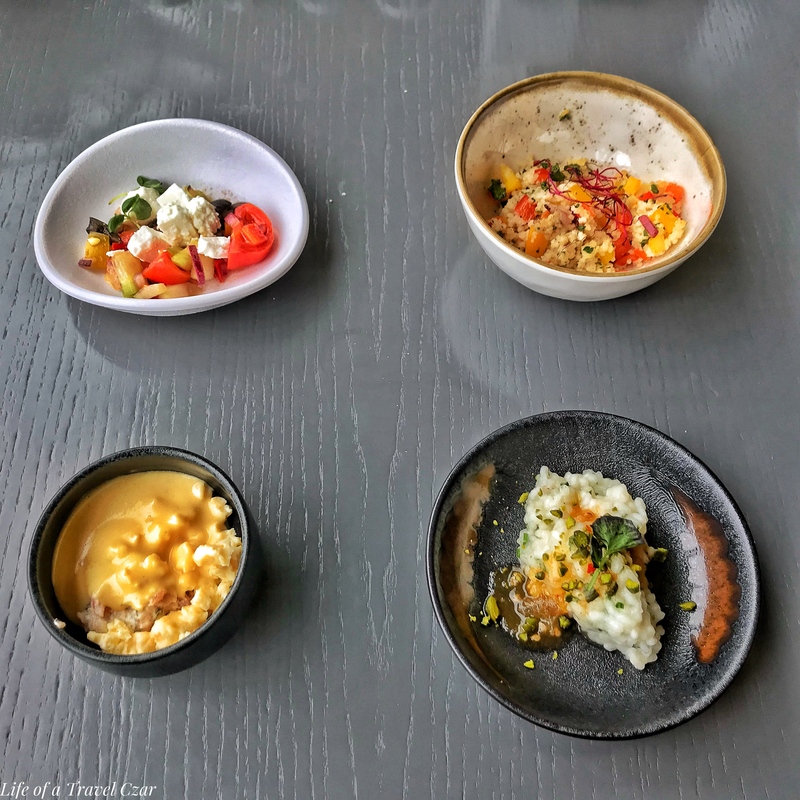 The rest of the tasting plates were a delight (except the risotto which was a little bland) and set the tone for the afternoon. Once I have finished with the brunch tasters, I move on to the main course dishes which are brought out in succession. The quite a culinary parade and all you have to do is sit, wait and enjoy the view as they are brought to your table. The gnocchi with carrots and hint of cream is quite the comfort dish. 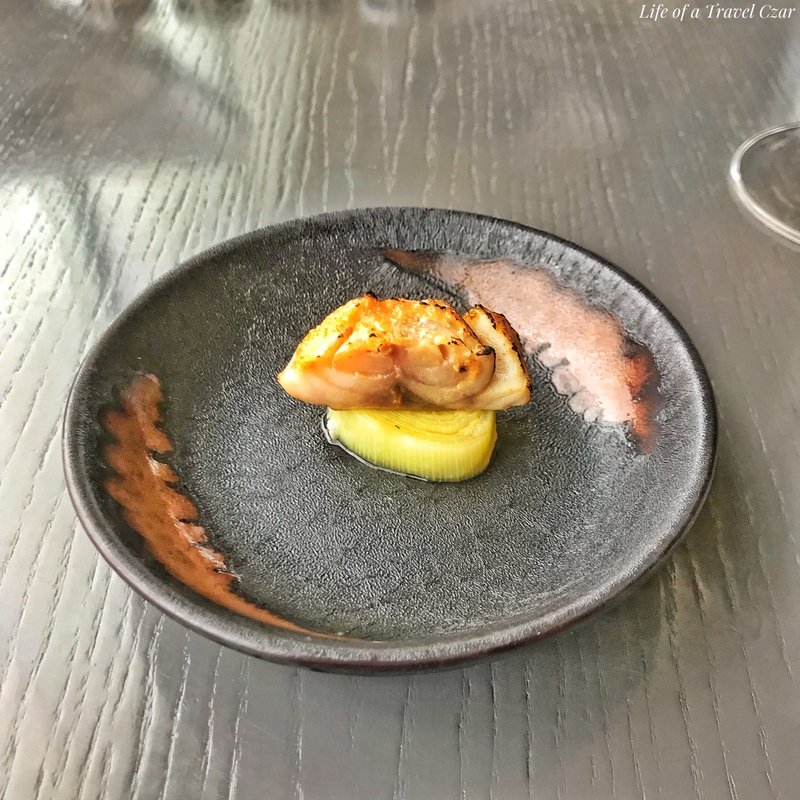 The first fish plate is a simply roast white fish. It is simplicity with limited culinary input but makes for a nice taste experience. This is a winter fish (which I think is a cod) with spinach and a rich creamy mussel sauce. 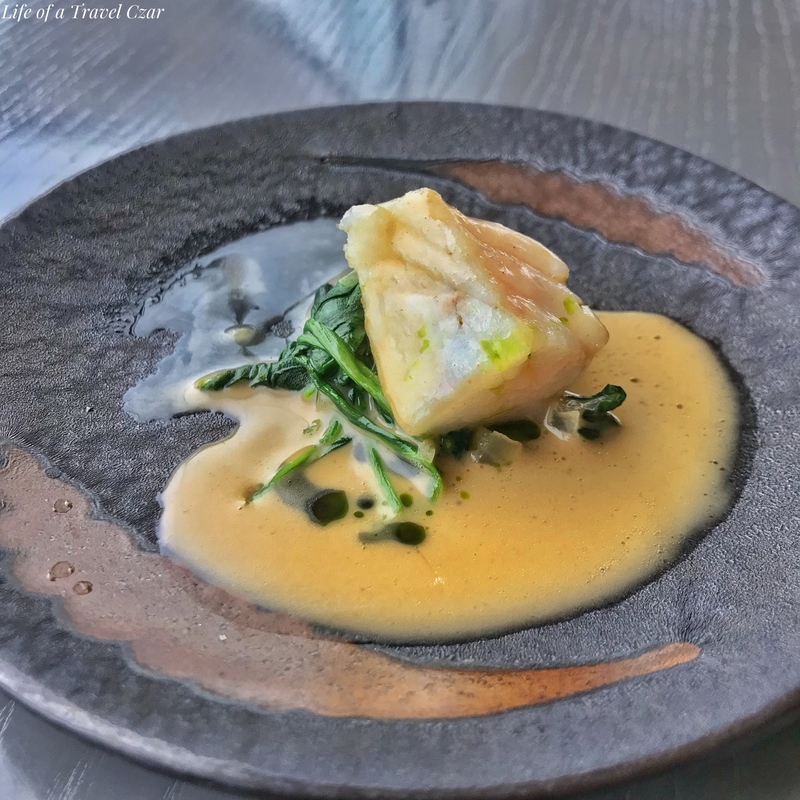 The cod is soft and succulent and the sauce does its job with a nice touch of salinity. 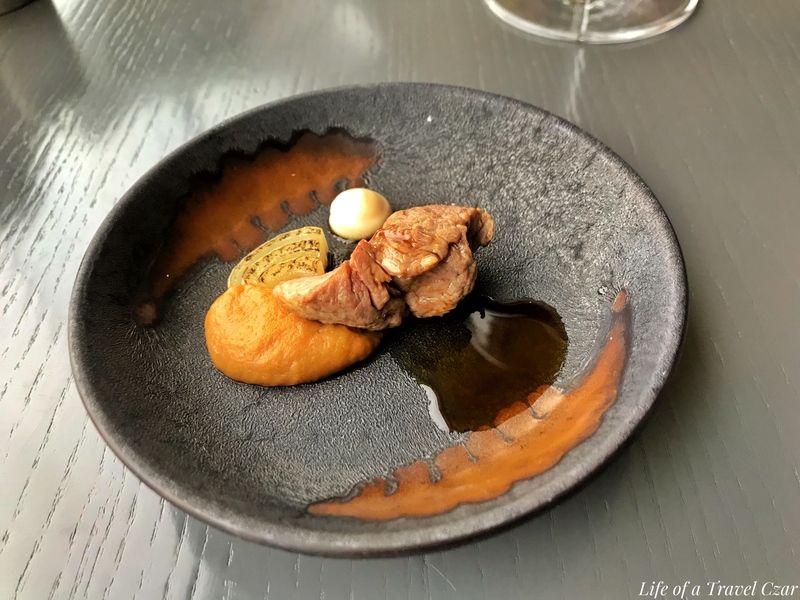 The lamb displays its rich natural flavours and is complemented by a rich sticky jus and pumpkin puree. 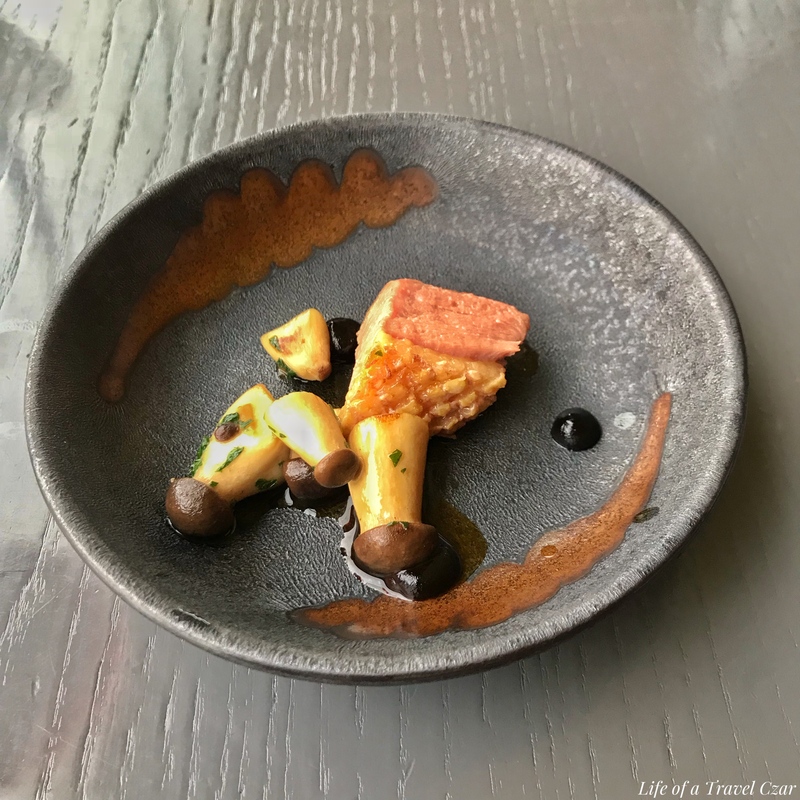 The duck is rich, gamey and oily with the wonderful texture of its smoked skin as well as the beautiful earthiness of the mushrooms. I order a lovely rich red wine to complement the dishes and while away this idyllic afternoon with a mix nibble, sip and gaze. This restaurant is a beautiful haven to escape the crisp winter of Vienna. To gaze at the architecture of this beautiful city is quite an experience from this height. It is probably the best vantage point in the city. I was too full for dessert but we were provided with a cake which was petite and beautiful. The cake was decorated with berries, jam and some macaroons. I was pretty full, so I only had a little slice. The experience is definitely worthwhile just for the view. 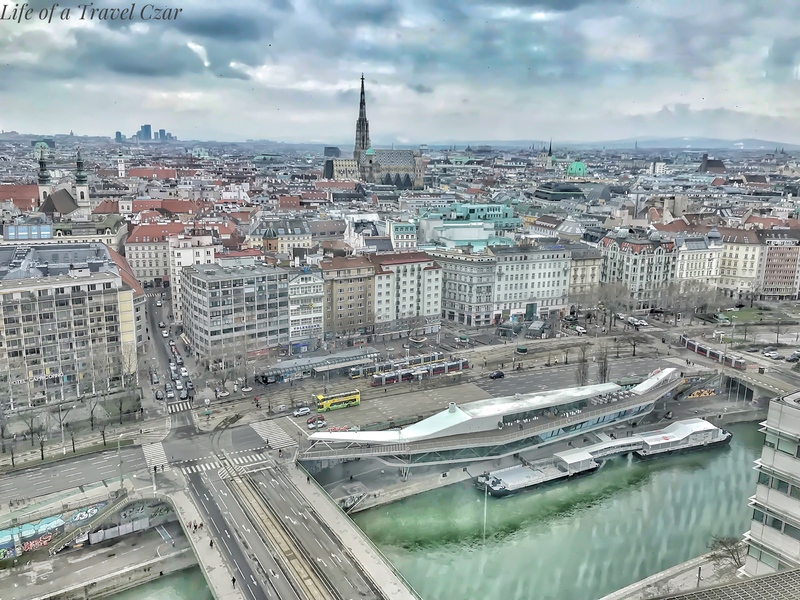 It is the best view in Vienna by far. 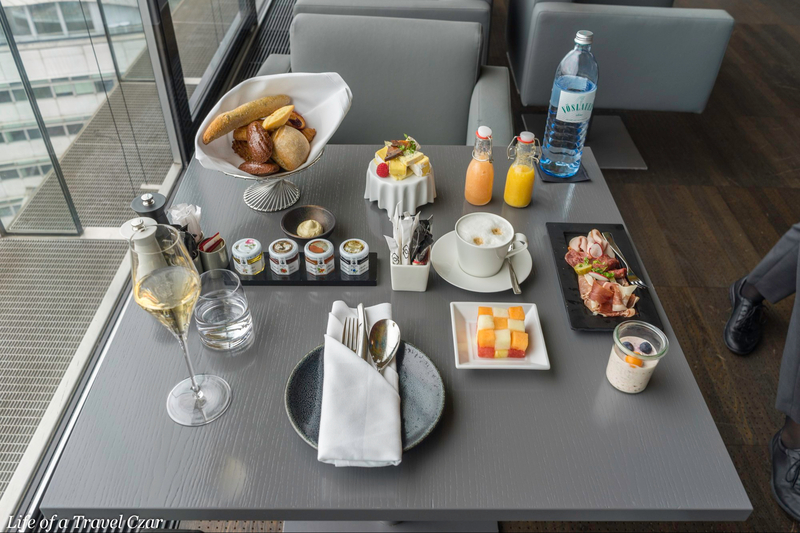 The food service is quite substantial and you do have bottomless cups of coffee and a welcome champagne. The service was quite attentive but as the crowds came in they probably could have done with a couple of extra waiters. 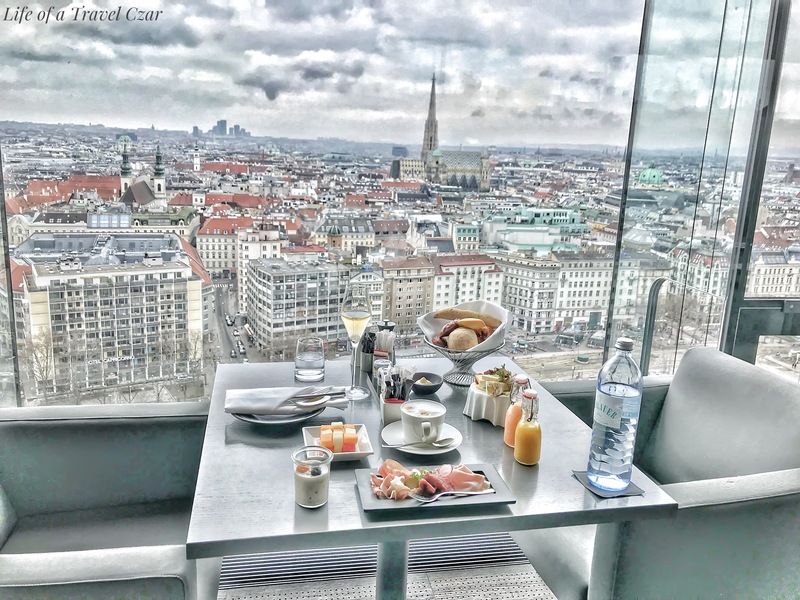 I can’t think of a more perfect afternoon; sipping on lovely champagne / wine, listening to cool tunes, beautiful taster plates brought to your table and having the most stunning view of one of Europe’s most beautiful cities.